I am using Voronoi polygonization as a support for simulating island erosion; my data is the output of VoronoiDiagram, DelaunayTriangulation, the starting point and the list of points that now are sea. I am not working with BoundedDiagram so I made sure all unbounded polygons are at sea. Now I need to show this output like in DiagramPlot, but with sea cells colored blue, and land cells colored in brown. Can you give me some code example or indications on where to search? 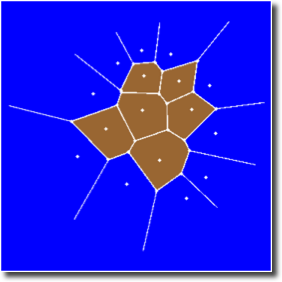 More generally, I need to have a planar graph of which I know vertex coordinates and the edges, what function should I use to choose the color for the faces of the graph? but the payoff is that you lost information about Graphics primitives and went to rasterized images, - which may be fine if you care about visual only. 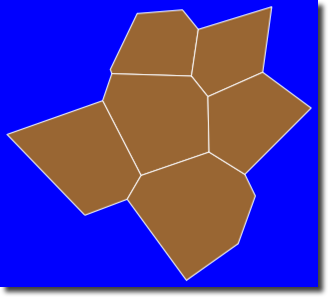 We get the Polygons that make up the Voronoi diagram and select the unbounded ones which will represent the sea, while the bounded ones will represent the land. The unbounded polygons must have at least one point in their RegionBounds identical to the overall RegionBounds of the Voronoi diagram. Here is a nicely compact solution, which exploits the fact that the "sea cells" are precisely the cells that contain the points of the data set's convex hull. Another key ingredient is the use of the undocumented function Region`Mesh`MeshMemberCellIndex (previously presented by ilian here). Not the answer you're looking for? 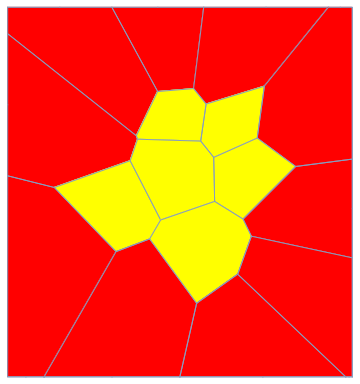 Browse other questions tagged plotting graphics computational-geometry or ask your own question. 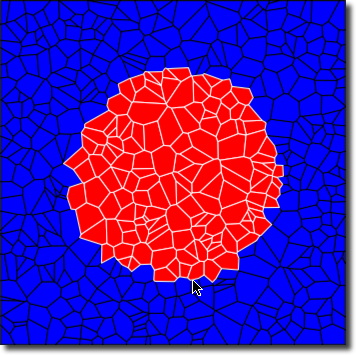 Boundary cells of a mesh? 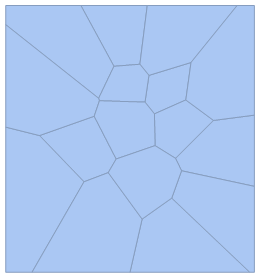 How to draw this 3D Voronoi Diagram? 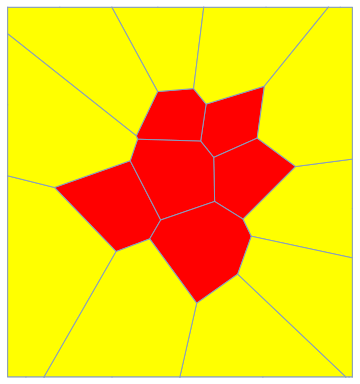 How to generate a heat map in a Voronoi diagram? 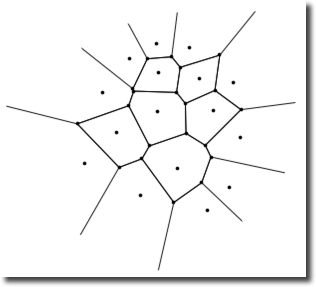 How to obtain the cell-adjacency graph of a mesh?